Last March I was 50 so my YL bought me a RM KL405 from Moonraker (UK). The amp lasted about two weeks despite running low power, I was offered a replacement from Moonraker and was told that I would not be able to return the so called new replacement should it go faulty. With this in mind I made sure I took the greatest of care to minimise any possible risk of over powering the amplifier and have only run 5 to 10 w on SSB with a maximum output of 180w out. 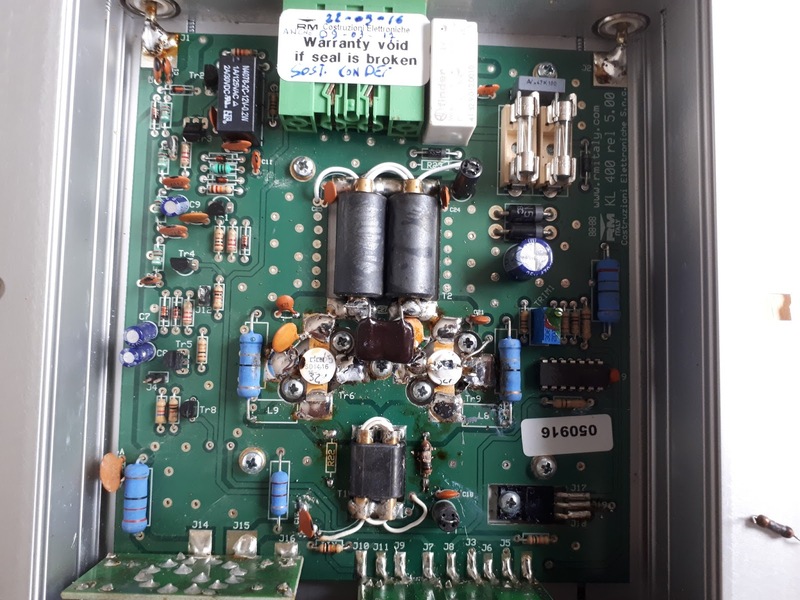 After using the amp for a couple of weeks the pre amp became stuck on which was annoying but it seemed to be working ok. Last week I was in my shack and heard an interesting station so I gave a shout out. I noticed straight away that the output was down thanks to my West Mountain Radio PWR Check. So I decided that I will have a look to see if anything was obvious in the way of a fault. The first thing I saw was the sticker and hand written note which seemed a bit strange for a so called new replacement. Then I noticed a resistor was completely blown off of the board and solder was splattered everywhere. 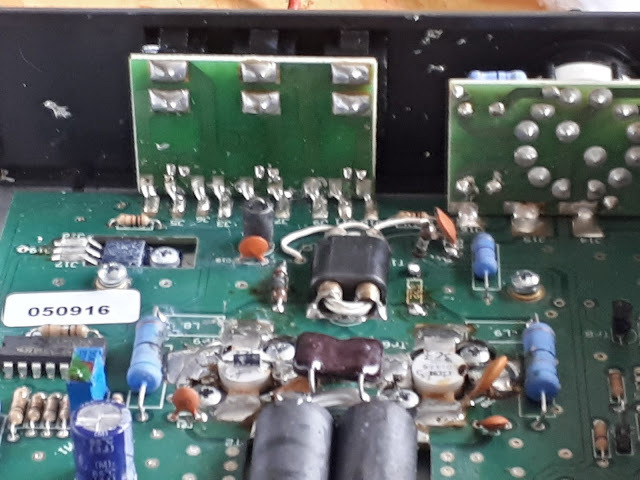 On closer examination and a bit of solder spatter removed I repaired the preamp switch which had been in short circuit due to the spatter. Unfortunately the damage to the output is beyond my electronic ability so I decided to pack the amp away until I decide to either throw it away or donate to Someone who can use any components. The solder can be seen below stuck to the front panel and spread around over various components. As for the lesson learned. I won't be buying any more RM equipment from Moonraker and I won't be believing that their customer service is as good as they make it out to be. 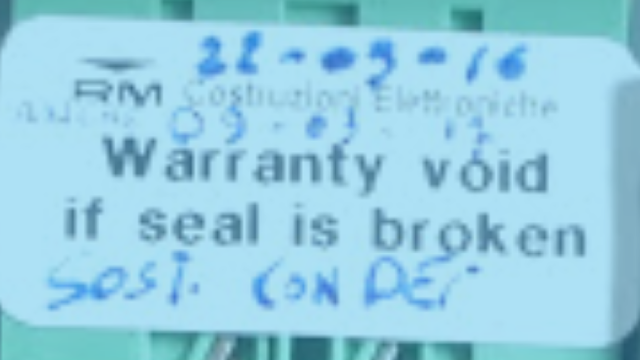 And finally if you work in the repair service at Moonraker do you recognise the handwriting on the repairs sticker of the so called new replacement. I am also unsure as to how the date on the sticker is one year before I purchased the amp if it was a new replacement which arrived in April 2017.